We’ve all been there: the morning after a night of a few too many glasses of red wine. Head throbbing, stomach-churning, can’t get out of bed feeling and all you can do is pop some Advil, guzzle down water and pray for the hangover to pass. All you want is a quick solution to feel normal again. Alas, the solution is here: IV therapy. IV Therapy isn’t just a quick fix for hangovers, it’s a way to obtain optimal health and wellness for life. Liquivida Lounge can provide all your IV needs in a premium wellness spa setting. Natural Defense Benefits (Protects naturally against disease) – This drip helps to fuel the immune system with high-impact nutrients and powerful antioxidants to keep your system resilient and prevent sickness. It helps maintain a healthy nervous system and improve the cardiovascular functions of the body. The Executive Benefits (Feel sharp and mentally alert at work and after hours) – This drip helps the mind to feel sharper and clearer and improves your mood so you can be more precise and productive with your day. It also combats stress and boosts the immune system. Performance Hydration (Empower your body to endure and win) – Increase stamina and energy with this drip to stay mentally focused during intense physical activity. Recover your energy levels naturally to combat fatigue and bounce back from exhaustion. Increases endurance while training for long hours. The Liquilift (Contains all nutrients for maximum impact) – Contains all vitamins and minerals included in the other Liquivita IV drips. The high dose of B12 vitamins boosts brain activity, the Biotin produces healthy hair and skin, and the antioxidants empower your liver to detoxify chemicals, metabolize prescription medication and break down damaged blood cells. Fountain of Youth (Improves skin, nail and hair health) – Rehydrate your skin after excessive sun exposure to prevent wrinkles, replenish your body with nourishing nutrients for your hair, skin and nails. Reduce the visible signs of aging and detox the toxins from your system to bring back your youthful glow. Rise and Shine (Feel rejuvenated and cure hangovers) – Avoid headaches and dizziness after a long or sleepless night. Revive your body with new energy and empower your immune system. Hydrate your brain and entire system so you can function without putting more strain on your body. Glutathione Drip (Power for Cells) – Glutathione is the body’s most powerful antioxidant and the main detoxifying agent in the body; protecting cells from free radicals and oxidative stress while boosting the immune system. This drip ensures your cells repair as you age, having a direct impact on your skin complexion and overall health. 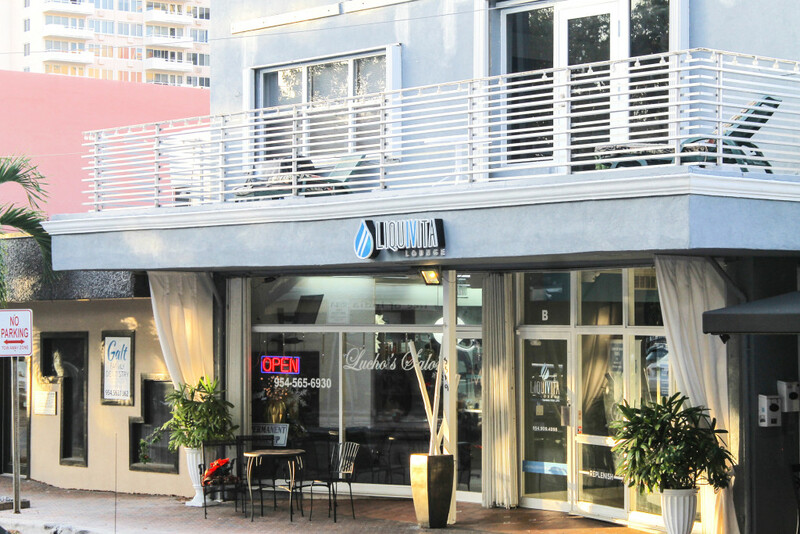 In addition to the signature IV drips, Liquivita Lounge offers energy shots. These energy boosters can be incorporated into a healthy diet as a supplement that helps maintain motivation without needing caffeine, sugar and other stimulants to be productive. These energy shots provide energy without the negative side effects that come with caffeine withdrawal and even boost the metabolism. 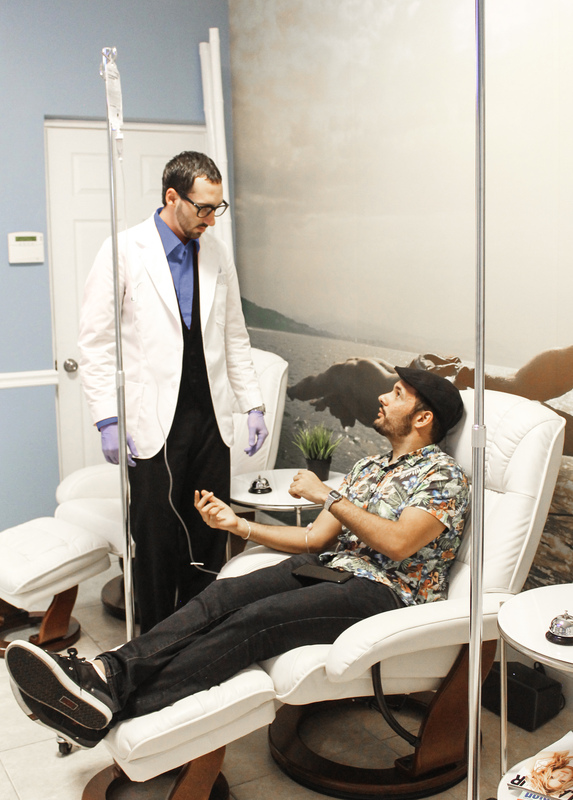 Liquivita Lounge’s mission is to replenish your mind, rehydrate the body and revitalize your life through nutrient IV therapy. The lounge is open for walk-ins Monday through Friday and then by appointment on the weekend.